When doing long distance endurance races the one question I wonder when tired is whether or not it is worth pushing on. Some years ago in the Tour Divide I passed a group of racers who were setting up camp as the sun was setting just east of Lima Reservoir. It was a perfect evening so I decided to ride a few more hours towards the Idaho border. The next morning the weather changed and they had miserable headwinds and rain compared to my idyllic ride. This would have been avoided had ‘Epic Ride Weather’ been around at the time. 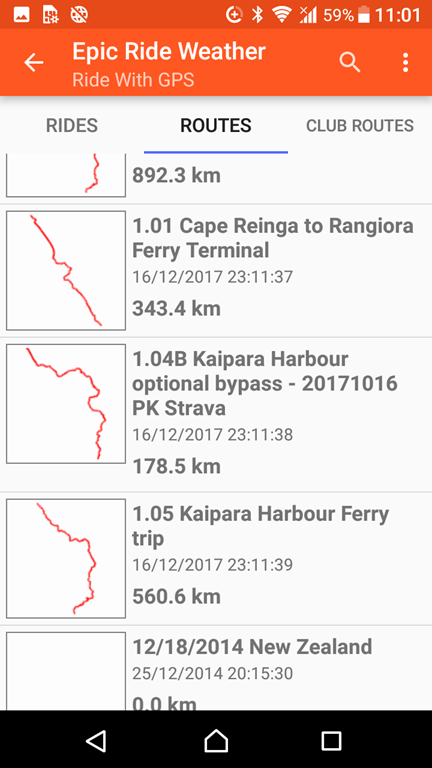 I used it to plan my rests around wind when racing across Australia earlier in 2017, and will be using again in the Tour Aotearoa and the North Cape-Tarifa in 2018. What makes it so useful? 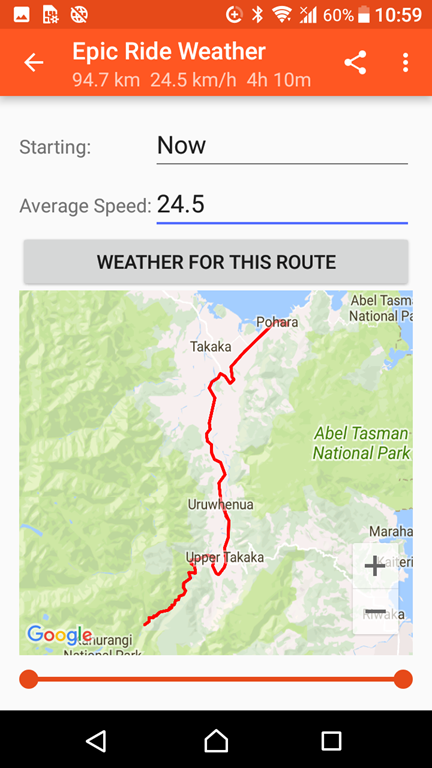 It loads your route where you are riding, you input your expected speed, and it then gives you the weather and wind forecasts over your ride. In other words, you know exactly what to expect! 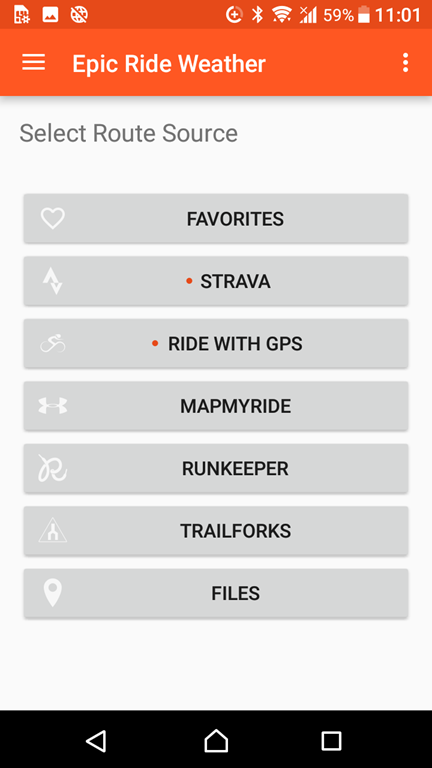 You first link the app to where you want get your routes from. Here I have connected it to Strava and Ride with GPS. It will then list the available routes. The above are the routes I have in Ride with GPS. 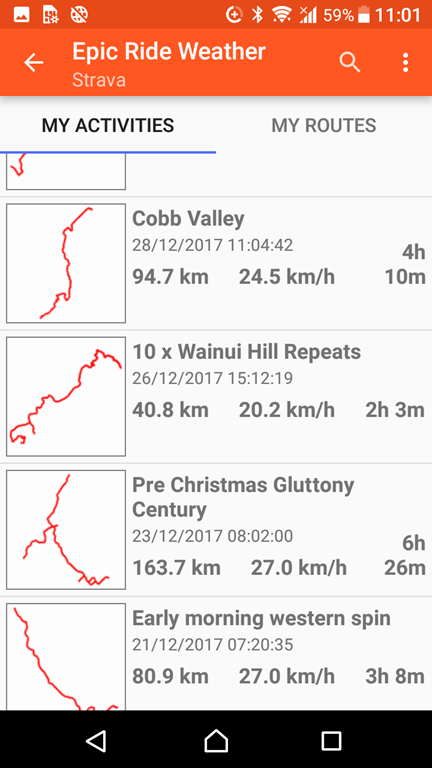 Here are my Strava rides. I’m going to do a ride up the Cobb Valley. You indicate when you plan on starting (now in this example), and what you expect your average speed to be. It uses the average from Strada. The red slider bar allows you to shorten the route. 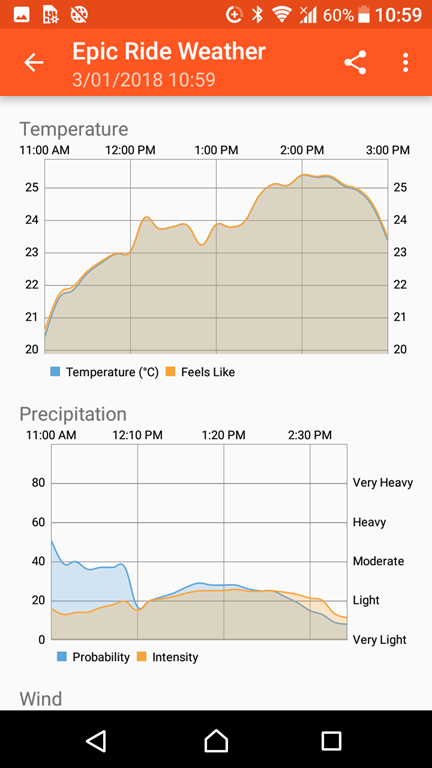 The app then gives you the expected temperature over your ride and the precipitation. It was very correct here—it rained after 11:00. This is the expected wind map, showing both the intensity and direction. 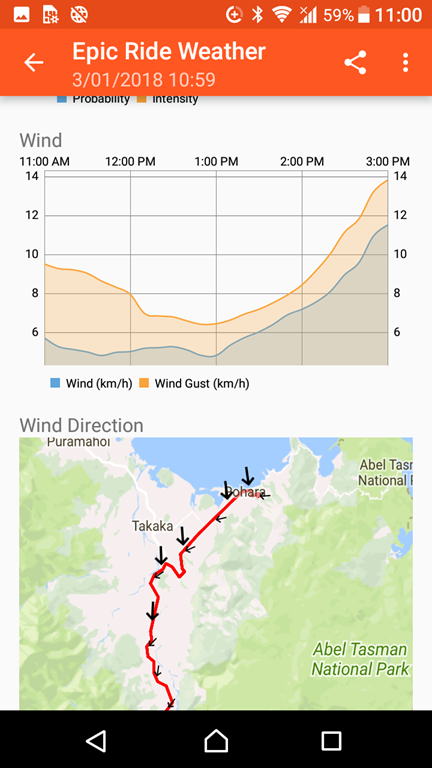 I can expect a 6 km/h tail wind on the way out; and up to 12 km/h on the way home. You have to pay a modest amount for weather predictions—$8.99 for 20,000 ‘units’, but it is well worth the investment. Give it a try. Late one day in a ride you will be grateful when it tells you to keep pedalling because of what tomorrow will bring!